After the release of Apple iOS 5.1 many iPhone, iPad and iPod owners switched from old iOS 5.0 to the upgraded version of iOS 5.1 and finding difficulties on it running applications and limited access of features but now they can easily access the new iOS 5.1 version on their iPhone 4, iPhone 3GS, iPod Touch 4G, iPod 3G and iPad. The new and latest hack guide to Unlock and Jailbreak iOS 5.1 for iPhone 4, iPhone 3GS, iPod Touch 4G, iPod 3G and iPad has been introduced from iPhone Dev-team and they have announced the Redsn0w 0.9.10 b6 to bring a Tethered Jailbreak for iOS 5.1 running in iPhone 4, iPhone 3GS, iPod Touch 4G, iPod 3G and iPad. So if you want to know what Tethered Jailbreak can do to Unlock your iOS 5.1 and how it gives full access to your Apple Products, read the following official statement of iPhone Dev-team to know more about Tethered Jailbreak method. Tethered jailbreaks require a computer connection to boot a jailbroken iOS device. The concept of a tethered jailbreak has been around a long time, but essentially it means this: every time your iPhone or iPod touch reboots or the battery dies, you have to connect (tether) your iOS device back to your computer so that the hardware can boot with the aid of the jailbreak application. 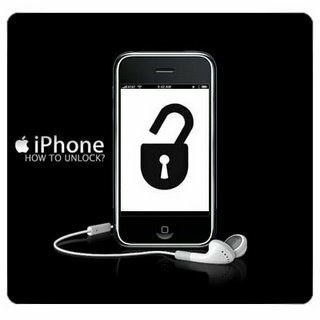 Now let’s start the Tutorial and Guidelines to Unlock and Jailbreak iOS 5.1 for iPhone 4, iPad, iPod 4G, iPhone 3GS & iPod 3G. How to Jailbreak and Unlock Apple iOS 5.1 with Redsn0w 0.9.10b6? Download the tool package provided above and then follow the following simple steps to Jailbreak and Unlock Apple iOS 5.1 running in iPhone 4, iPhone 3GS, iPod Touch 4G, iPod 3G and iPad. Step 1: Connect your iDevice with your PC via USB, and open iTunes 10.6 then restore to iOS 5.1 if you don’t already have it on your device. Step 2: Start Redsn0w, press on “Jailbreak” > Next. Now Click & Boot Semi-tethered. After the successful Jailbreak of your A4 iOS device iOS 5.1 with Redsn0w 0.9.10b6 now you can get it Unlocked too by using Ultrasn0w method. Unfortunately the ultrasn0w updated version is not released yet but we have Ultrasn0w Fixer for iOS 5.1 by developer zmaster. It’s not a public release yet but you can find it in the developer’s repo, supports only 01.59.00, 04.26.08, 05.11.07, 05.13.01, 05.12.01, 06.15.00 baseband. NOTE: Before implementing the following Tutorial and Guidelines of Ultrasn0w method to Unlock iPhone 4, iPhone 3GS, iPod Touch 4G, iPod 3G and iPad, You must Jailbreak your iOS 5.1 device with Redsn0w 0.9.10b6 mentioning in above method and tutorial. Step 1: After you jailbreak your idevice, open Cydia, click on Manage >> Sources then add this repohttp://repo.iparelhos.com. Step 2: Once the repo is added, search for ultrasn0w fixer for 5.1 and install it on your device. Step 3: After the installing is completed search for “Ultrasn0w”, version 1.2.5 on Cydia and install it. Step 4: Reboot your iPhone, insert your SIM card and Congratulation you made it. Now finally your Apple Device is Jailbreak and Unlocked.